You’ve heard the hype about cloud computing. Now you need real-world answers about Office 365 and not just the tired re-prints around the web or marketing lingo from Microsoft. This post is dedicated to the stuff that you don’t normally see when taking Office 365 for a spin. 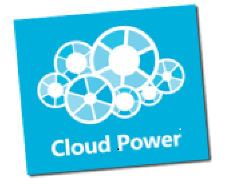 Matrixforce is a Microsoft Cloud Accelerate Partner, an accreditation shared by only 1% of partners worldwide. More importantly, we’re Americas that speak English (with just a slight Southern drawl) and help thousands of subscribers each year move to the cloud. Read the tips below and watch the video. However, talk is cheap and the best way to learn is by doing. So start an Office 365 Free Trial, but avoid common mistakes and naïve assumptions. No Catch – Really. Try it for 30 days without charge. No credit card is required to start an Office 365 Trial. Your current e-mail is not affected. Microsoft wants you to use a Partner for more direct access to the answers you need, at no additional cost when you purchase a subscription. Just make sure you have good Internet access – generally above a T-1 and Office 2007 or greater. Check the Office 365 Requirements for further details. Avoid Office 365 Small Business. Office 365 Small Business has various other hidden limitations, but the biggest one is that you can’t change to any other Office 365 plan without backing up your data and starting a new trial or subscription. No other plans have this painful stipulation and for the nominal savings in cost (see Office 365 Pricing), Microsoft should and likely will discontinue Office 365 Small Business. Names matter greatly. When you start an Office 365 trial, you pick a temporary name space of yourcompany.onmicrosoft.com. The yourcompany example should be your domain name without the suffix such as .com. This step is the magic that let’s you get started without affecting your production network or e-mail. URLs for services like SharePoint will use yourcompany.sharepoint.com. You can’t change the name you pick later. Get started with the name you actually want to use, so that you have nothing else to do but purchase when your 30 day trial has expired. Another gotcha is that Office 365 name spaces are unique and reusing one that you previously set up for another trial requires lengthy verification and a 6 month wait period. What doesn’t transfer? All of your messages, custom folders, calendar items, contacts, tasks, and notes transfer to Office 365. The following are things users must setup manually: e-mail signatures, Outlook rules, mailbox delegates, and categorization. If you have more questions, visit the Office 365 FAQ to satisfy that curiosity. Cut-over smartly. Again, your e-mail is not affected until you change the MX record for your domain (like change of address or forwarding at the Post Office). The Office 365 migration wizard will actually copy mailboxes to the cloud ahead of time in the background and sync daily until you are ready to cut-over. Browse Office 365 Setup for the full scoop.